What Is the Grace of Final Perseverance? Final perseverance is that last grace which confirms us in the Lord at the moment of death. It is a free gift of God that preserves or maintains the state of grace in our souls so that we can die in that state. You are in a state of grace when your soul is in righteous standing before God. 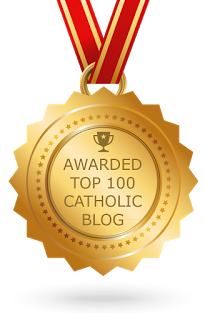 This gift preserves that state by enabling our will to cooperate with the various means of receiving grace, namely prayer and the sacraments. The grace of final perseverance also implies that death comes when we are in that state of grace, and not in a state of mortal sin. By that I mean, when a person prays for the grace of final perseverance, he is also praying that death will come in a timely manner, when his soul is in righteous standing before God. According to Blessed John Henry Cardinal Newman, final perseverance is basically God practicing his stewardship or loving care over our souls. It is, “an ever watchful superintendence of us on the part of our All-Merciful Lord, removing temptations which He sees will be fatal to us, comforting us at those times when we are in particular peril, whether from our negligence or other cause, and ordering the course of our life so that we may die at a time when He sees that we are in the state of grace." Final perseverance can be seen as a single gift of grace, or as the body or collection of graces we have received throughout our whole lives, all coming together to affect our final end. As a single gift, we are reminded of the Good Thief crucified alongside Jesus, who, after living a life of sin, was compelled to convert in his final hour after witnessing the example of Jesus. The grace of final perseverance made that possible. As a body of graces, we think of the life-long Catholic who sticks ever closer to the sacraments and is evermore devoted to prayer as his age advances and his health deteriorates. 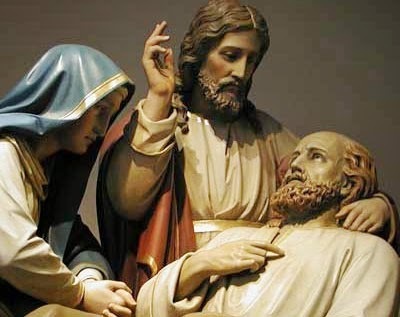 And then, when death is surely near, he calls upon the priest to make his last Confession, to receive Viaticum, and to be Anointed. In this case, the grace of final perseverance was actually working throughout his whole life, compelling him to perform the various pious practices that brought him now, in his final hour, to death in the state of grace. What an extraordinary gift this would be to receive! Extraordinary … and necessary, since we cannot go to heaven without dying in a state of grace. What’s more, this gift only comes by way of God’s merciful response to our entreating Him for it in prayer. This is basically what we’re doing when we say in the Our Father, “Lead us not into temptation, but deliver us from evil” (cf. CCC nos. 2849, 2854), and in the Hail Mary, “Pray for us sinners, now and at the hour of our death.” We are praying for the gift of final perseverance. Ezek 18:24-28 But when a righteous man turns away from his righteousness and commits iniquity and does the same abominable things that the wicked man does, shall he live? None of the righteous deeds which he has done shall be remembered; for the treachery of which he is guilty and the sin he has committed, he shall die. 25 “Yet you say, ‘The way of the Lord is not just.’ Hear now, O house of Israel: Is my way not just? Is it not your ways that are not just? 26 When a righteous man turns away from his righteousness and commits iniquity, he shall die for it; for the iniquity which he has committed he shall die. 27 Again, when a wicked man turns away from the wickedness he has committed and does what is lawful and right, he shall save his life. 28 Because he considered and turned away from all the transgressions which he had committed, he shall surely live, he shall not die. Wis 4:10-15 There was one who pleased God and was loved by him, and while living among sinners he was taken up. 11 He was caught up lest evil change his understanding or guile deceive his soul. 12 For the fascination of wickedness obscures what is good, and roving desire perverts the innocent mind. 13 Being perfected in a short time, he fulfilled long years; 14 for his soul was pleasing to the Lord, therefore he took him quickly from the midst of wickedness. 15 Yet the peoples saw and did not understand, nor take such a thing to heart, that God’s grace and mercy are with his elect, and he watches over his holy ones. Mt 10:22 and you will be hated by all for my name’s sake. But he who endures to the end will be saved. Jn 17:11 And now I am no more in the world, but they are in the world, and I am coming to thee. Holy Father, keep them in thy name, which thou hast given me, that they may be one, even as we are one. Rom 11:22-23 Note then the kindness and the severity of God: severity toward those who have fallen, but God’s kindness to you, provided you continue in his kindness; otherwise you too will be cut off. 23 And even the others, if they do not persist in their unbelief, will be grafted in, for God has the power to graft them in again. Rom 14:4 Who are you to pass judgment on the servant of another? It is before his own master that he stands or falls. And he will be upheld, for the Master is able to make him stand. 1 Cor 15:1-2 Now I would remind you, brethren, in what terms I preached to you the gospel, which you received, in which you stand, 2 by which you are saved, if you hold it fast—unless you believed in vain. Gal 5:1 For freedom Christ has set us free; stand fast therefore, and do not submit again to a yoke of slavery. Phil 1:6 And I am sure that he who began a good work in you will bring it to completion at the day of Jesus Christ. Phil 4:7 And the peace of God, which passes all understanding, will keep your hearts and your minds in Christ Jesus. Col 1:21-23 And you, who once were estranged and hostile in mind, doing evil deeds, 22 he has now reconciled in his body of flesh by his death, in order to present you holy and blameless and irreproachable before him, 23 provided that you continue in the faith, stable and steadfast, not shifting from the hope of the gospel which you heard, which has been preached to every creature under heaven, and of which I, Paul, became a minister. 1 Thes 5:23-24 May the God of peace himself sanctify you wholly; and may your spirit and soul and body be kept sound and blameless at the coming of our Lord Jesus Christ. 24 He who calls you is faithful, and he will do it. 1 Pet 5:10 And after you have suffered a little while, the God of all grace, who has called you to his eternal glory in Christ, will himself restore, establish, and strengthen you. 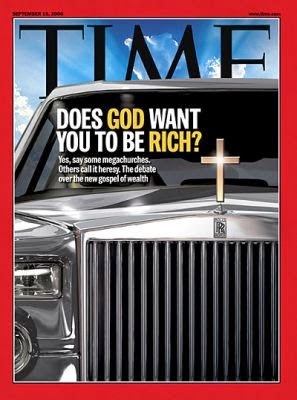 What is the “prosperity gospel” I keep hearing about? Is it true to what the Bible says? The prosperity gospel is the teaching that what God wants more than anything is for you to be happy, and He establishes this happiness in your life by blessing you with monetary wealth, bodily health, peace of mind, and positive relationships. If you have faith in this plan for your life, then God will lavish His great gifts upon you. Furthermore, suffering does not come from God but only from Satan, who does not want us to live abundantly. This is a false teaching, and it is fitting that with yesterday's Feast of the Exaltation of the Holy Cross, we would look briefly at how this message squares with the sacrifices and the crosses that are really inherent to the Christian life. In Scripture we see that worldly prosperity can be a dangerous thing because it causes the prosperous to rely on their own merits and self-sufficiency instead of depending on God. This is, for example, why God reduced Gideon’s army from 30,000 to 300 before He brought them into battle (Judg 7:2-7). When they won it was a miracle, and it was easier for them to see that it was God, not their own might, that gave them the victory. Note that It was not Satan that reduced Gideon’s army, it was the Lord. He didn’t lavish Gideon with more troops than he could ever need, He actually took troops away, so that God may be glorified. That is how God works. But that’s just one example. The proponent of the prosperity gospel really has no way to make sense of the entire life of Christ. For one, Jesus should have been the richest of the rich. After all, who has more faith in the plan of God than Jesus? But what do we see? “Foxes have holes and birds of the air have nests, but the Son of man has nowhere to lay his head” (Mt 8:20). He was born in a feeding trough (cf. Lk 2:7) and upon His birth, His mother gave the poor person’s sacrifice in the Temple (cf. Lk 2:22-24; Lev 12:6-8). What did He preach? Seize upon the prosperity that God has in store for you? No. He said, “It is easier for a camel to go through the eye of a needle than for a rich man to enter the kingdom of God” (Mt 19:24). “If you would be perfect, go, sell what you possess and give to the poor, and you will have treasure in heaven” (Mt 19:21). 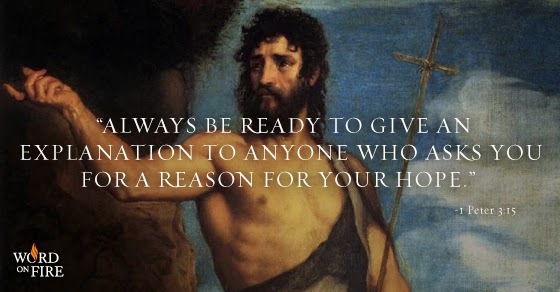 “Do not lay up for yourselves treasures on earth” (Mt 6:19). Furthermore, Jesus taught the apostles that they would suffer just like He did (cf. Jn 15:18-20). The Apostles didn’t live the prosperous life. They lived the life of sacrifice on behalf of Christ and the gospel. When Paul’s authority was challenged, he offered as his credentials the fact that he actually gave up prosperity for the sake of suffering. Go read 2 Cor 11:24-30. It’s one of the most powerful passages in all of Scripture. Finally, the God of the prosperity gospel would have removed the thorn in the flesh of Paul after he begged God three times to remove it. But how did God respond? “My grace is sufficient for you, for my power is made perfect in weakness” (2 Cor 12:9). Nowhere is that more clearly displayed than on the Cross, where Christ is the most powerful at the very moment He is the weakest. The Cross is the very antithesis of the prosperity gospel, and if we desire to be with Christ, we must deny ourselves, take up our cross daily, and follow him (cf. Lk 9:23). Joel Osteen, Judas Iscariot, and the Heretical "Prosperity Gospel"
Biblical Refutation of "Hyper Faith" / "Name It, Claim It" Teaching: Is It Always God's Will to Heal in Every Instance? Health and Wealth - Or the Cross? Why Are Catholics So Into Suffering? Isn't Jesus About Healing? How do I respond to someone who says that religion is the most divisive, destructive, and deadly force in the world? The first thing I would do is establish the positive impact that religion has had on the growth of civilizations and the general wellbeing of mankind. The sciences have been especially nurtured by religious people, especially Catholics. The scientific fields with important foundational contributions from Catholic scientists include: physics (Galileo), acoustics (Mersenne), mineralogy (Agricola), modern chemistry (Lavoisier), modern anatomy (Vesalius), stratigraphy (Steno), bacteriology (Kircher and Pasteur), genetics (Mendel), analytical geometry (Descartes), heliocentric cosmology (Copernicus), atomic theory (Boscovich) and the origins of the universe (Lemaître). 35 craters on the moon are named after various Jesuit scientists and mathematicians! Catholics have also made significant, if not outright foundational contributions to economics, the university system, systematic health care, natural philosophy, architecture, and the arts (painting, sculpture, music). Churchgoers are more likely to be married, less likely to be divorced or single, and more likely to manifest high levels of satisfaction in marriage. The regular practice of religion has been shown to help poor persons move out of poverty; inoculate individuals against suicide, drug abuse, out-of-wedlock births, crime and divorce; increase longevity, improve one’s chances of recovery from illness, and lessen the incidence of many killer diseases. Religious people have less depression, more self-esteem, and greater family and marital happiness. Religious belief and practice is a major source of recovery from alcoholism, drug addiction, and marital breakdown. In light of all this, how can religion be the most divisive, destructive, and deadly force in the world when it does people and civilizations so much good? Once you establish the goods of religion, it is also necessary to make a distinction between the religion and its adherents. When people commit atrocities in the name of religion, sometimes it’s because the religion itself calls for it, other times it’s because people are sinning against their religion. 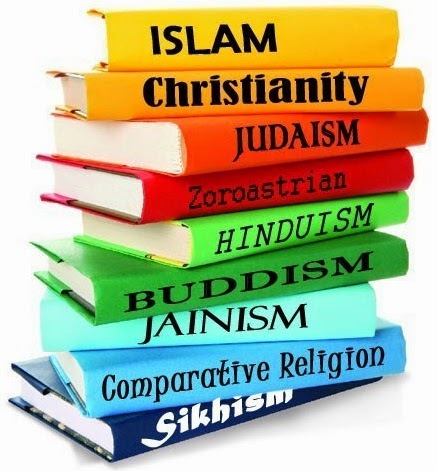 Let’s not condemn all religions when not all religions are the same in this regard. If the root of the atrocity is sin, the fault is in the sinner, not his religion. Why Do We Have Sacraments? We have sacraments because God desires to transform us and bring about an encounter with His grace and life in a way that is considerate of how we learn, and communicate, and grow as human persons. I realize that’s somewhat of a mouthful, so let me unpack it a little. If God so desired, He could forgive our sins or fortify us against temptation and the devil without giving us any indication of what He’s done. Likewise, Jesus could have forgiven the blind man — or even all blind people — by simply thinking it. But Jesus did not work that way. God does not work that way. I posit that the reason God does not work that way is because we are sensual beings who live in a material world. We are not pure spirits who operate solely at the level of the intellect. We are spirit and body brought inextricably together. This means that we learn and perceive and communicate through our senses. We must see things, taste things, hear things, feel things, smell things in order to know them. God, out of His great love for us, is willing to go to great lengths, even seemingly absurd lengths, to reach out to us, to convert us, to give us an experience of Himself. And so, He accommodates our sensuality. He made us to have this material aspect of ourselves and to live in this material world. He has shown by His example that He is not above moving within the things He has made in order to change us, to bring about that sacred encounter. He did this most absurdly by becoming one of us. Who would have thought that one day our great and mighty God, so entirely perfect, and powerful, and “other-than”, would become one of us? Even today, the Moslems cannot even accept that He would be a Father to us, let alone that He would become one of us! But, God is willing to be absurd, to do the unimaginable thing, in order to save us. He did it through the Incarnation, and He does it today through the sacraments. If God can bring about this sacred encounter by becoming one of us, then surely He can meet us in the waters of baptism, the words of absolution, the touch of the bishop, the bread and wine, the holy oil, incense, etc. And, through Jesus’ ministry of healing and reconciliation, we see that this is what God desires. As I said, Jesus did not heal the blind man by simply thinking it. What did He do instead? He spit in the dirt, mixed it into mud, rubbed this mud on the man’s eyes, and told him to go wash in the Pool of Siloam. He used the stuff of this world to change that man’s life forever. Through the sacraments, Jesus does the same for us. Rom 16:1 says that there were female deacons in the Church. Why don’t we have those anymore? Now, according to the Ignatius Catholic Study Bible, the Greek word for “deaconess”, diakonos, can refer to an ordained minister of the Church (cf. Phil 1:1; 1 Tim 3:8) or to a “servant” or “assistant” more generally (Rom 13:4; 15:8). It is in this latter sense that we should understand Rom 16:1. This is because deaconesses were never considered to be among the ordained clergy. In fact, the Council of Nicaea in 325 AD confirmed that deaconesses were lay women. 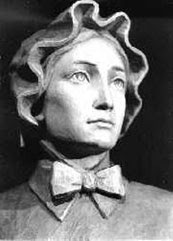 Since the women who fulfilled this service were never ordained, they were not deacons as such, but simply assistants to the priest. Since catechumens in the early Church were often baptized naked and by full immersion, these assistants were necessary in order to maintain chastity between the priest and the female catechumen. How would you respond to someone that says, "Religion is only a crutch for the weak?" Atheists are hypocritical when they say things like this. Everyone has their own worldview or filter with which they process life events, or pain, or suffering in the world. It's not a crutch, it's how you get on with life. Atheists have their own ways of making sense out of their lives, it’s just that their ways are different than our ways. This argument is not so much about having a crutch as it is about having the particular crutch that Christians have. This canard also implies that Christianity is believed simply for the comfort it provides, not because there are actually some reasonable arguments that sustain the Christian position. Of course, that is not true. Some of the most reasonable and scientific minds this world has ever known, and even the “fathers” of many scientific fields (Georges Lemaitre, Gregor Mendel, Nicolaus Copernicus, Johannes Kepler, etc) were Catholic. Why is the fourth Sunday of Lent called “Laetare Sunday”? Laetare is Latin for “Rejoice!” It comes from the entrance antiphon for that day: “Rejoice, Jerusalem, and all who love her. Be joyful, all who were were in mourning; exult and be satisfied at her consoling breast.” The fourth Sunday of Lent marks the half-way point of Lent, which means that Easter is almost here. As a result, the priest may wear rose-colored vestments on this day (as he does on Gaudete Sunday during Advent), the organ may be played in Mass, and flowers may be used to adorn the altar. It may seem odd to celebrate an inanimate object, but there is in fact a very good reason for today's feast day. The phrase ex cathedra, which we use in reference to the pope's infallible prerogative, means "from the chair." So, the chair of St. Peter represents the authority given to him and to his successors by Jesus Christ. It is also a symbol of unity and orthodoxy, since it is in communion with the pope that Christians are united in faith and practice. The Latin liturgy celebrates today the feast of the Chair of St. Peter. It comes from a very ancient tradition, chronicled at Rome from the end of the 4th century, which renders thanks to God for the mission entrusted to the Apostle Peter and to his successors. The "cathedra," literally, is the fixed seat of the Bishop, found in the mother church in a diocese, which for this reason is called "cathedral," and is the symbol of the authority of the Bishop and, in particular, of his "magisterium," the evangelical teaching which he, as a successor of the Apostles, is called to maintain and pass on to the Christian community. When the Bishop takes possession of the particular Church entrusted to him, he, wearing the mitre and carrying the pastoral staff, is seated in the cathedra. From that seat he will guide, as teacher and pastor, the path of the faithful in faith, in hope and in love. 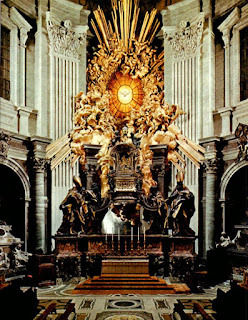 What was, then, the "cathedra" of St. Peter? He, chosen by Christ as the "rock" on which the Church was built, began his ministry in Jerusalem, after the Ascension of the Lord and Pentecost. The first "see" of the Church was the Cenacle, and it's likely that in that room, where also Mary, the mother of Jesus, prayed together with the disciples, a special place was reserved for Simon Peter. Successively, the see of Peter became Antioch, a city situated on the Oronte River, in Syria, today in Turkey, in that time the third metropolis of the Roman empire after Rome and Alexandria in Egypt. From that city, evangalized by Barnabas and Paul, where "for the first time the disciples were called Christians" (Acts 11:26), where the name Christian was born for us, Peter was the first bishop, so that the Roman Martyrology, before the reform of the calendar, also provided for a specific celebration of the Chair of Peter at Antioch. From there, Providence brought Peter to Rome. Therefore we have the road from Jerusalem, the newborn Church, to Antioch, the first center of the Church recounted by the Pagans and still united with the Church which proceeded from the Jews. Then Peter came to Rome, center of the Empire, symbol of the "Orbis" -- the "Urbs" [city] which expresses the "Orbis" [world] of the earth -- where he concluded with his martyrdom his course in the service of the Gospel. For this, the see of Rome, which received the greatest honor, is also accorded the honors entrusted by Christ to Peter to be at the service of all the particular Churches for the building up and the unity of the entire People of God. The see of Rome, after this movement of St. Peter, became recognized as that of the successor of Peter, and the "cathedra" of its bishop represented that of the Apostle charged by Christ to feed his flock. This is attested to by the most ancient Fathers of the Church, for example St. Iraneus, bishop of Lyon, but living in Asia Minor, who in his treatise Against heresies described the Church of Rome as "the greatest and most ancient, known of all;... founded and built at Rome by the two most glorious apostles Peter and Paul"; and then: "With this Church, for its outstanding superiority, must be accorded to it the Church universal, the faithful in every place" (III, 3, 2-3). Tertullian, a little later, for his part, affirms: "How blessed is this Church of Rome! For it the apostles poured out, with their blood, the whole of doctrine." The chair of the Bishop of Rome represents, therefore, not only its service to the Roman community, but its mission of watching over the entire People of God. To celebrate the "Cathedra" of Peter, as we do today, means, then, to attribute to it a strong spiritual significance and to recognize it as a privileged sign of the love of God, the good and eternal Shepherd, who wishes to gather the entire Church and guide it along the way of salvation. Among the many testimonies of the Fathers, I'd like to report that of St. Jerome, who wrote in a letter of his to the Bishop of Rome, particularly interesting because it makes an explicit reference to the "chair" of Peter, presented it as the sure grounding of truth and of peace. As Jerome wrote: "I decided to consult the chair of Peter, where is found that faith which the mouth of an Apostle exalted; I come then to ask nourishment for my soul, where once was received the garment of Christ. I don't follow a primate other than Christ; for this reason, I place myself in communion with your blessedness, that is, with the chair of Peter. I know that on this rock is built the Church" (Letters I, 15, 1-2). Dear Brothers and Sisters, in the apse of St. Peter's Basilica, as you know, can be found the monument to the Chair of the Apostle, Bernini's eldest work, realized in the form of a great bronze throne, held up by statues of four Doctors of the Church, two of the west, St. Augustine and St. Ambrose, two of the east, St. John Chrysostom and St. Athanasius. I invite you to stand in front of this suggested work, which today is probably decorated admirably by many candles, and pray in a particular way for the ministry which God has entrusted to me. Raising our gaze to the alabaster window which opens over the Chair, invoking the Holy Spirit, may he always sustain with his light and strength my daily service to all the Church. [Applause] For this, and for your devoted attention, I thank you from my heart. For articles that I have written about Peter and the Papacy, see the Church Authority and the Papacy entry from the Topical Index. St. Peter, Prince of the Apostles....pray for us. Why did Aaron give in so easily to the Israelites to make them a golden calf? I don’t really know. Aaron's job was to be Moses' representative or spokesman. He was supposed to be utterly subservient to him. We see that as long as he did that, he was fine. But, as soon as Aaron exerted his own will, he got into trouble, as evidenced not only by the golden calf incident but also by the scolding he received from the Lord when he spoke against Moses' decision to marry a Cushite woman (Num 12). Aaron had a specific role to play in God's plan for the people during their slavery in Egypt and their Exodus. For whatever reason, he was never really good at acting outside of that role. Why didn’t Ananias and Sapphira get a chance to repent before they died? First some background information: Ananias and Sapphira were the ones who made the apostles think that they were donating all the proceeds of the land that they sold when they were really keeping some of it for themselves (cf. Acts 5:1-11). Now, why weren’t they given a chance to repent? Because they just weren’t. People don't always get a chance to repent before they die. Death does not always come when we expect it. This is why it is so important to remain in a state of grace. That said, only God knows the heart. He knows how sorry we are for the sins we have committed, even if we do not have the chance to express that sorrow with some act of repentance. Perhaps Ananias and Sapphira were able to cry out to God, in the silence of their hearts, before they died. We will never know. Is it lawful for someone to take the host from the Eucharistic minister, dip it in the chalice, and eat it? No, it is not. Dipping the host into the chalice is called intinction. 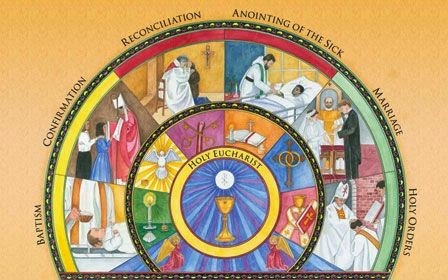 While this is a lawful way to receive the Body and Blood of the Lord, the communicant is not allowed to do this himself. Instead, the Eucharistic minister dips the host into the chalice and then places it on the communicant's tongue. For more on this, see the document from the US bishops: Norms for the Distribution and Reception of Holy Communion Under Both Kinds in the Dioceses of the United States of America, nos. 49-50. Rom 16:22 says that Tertius wrote the Letter to the Romans. I thought Paul wrote it. Can you explain? Paul is certainly the author of the Letter to the Romans. He began by declaring his authorship of it. “Paul, a servant of Jesus Christ … To all God’s beloved in Rome” (Rom 1:1, 7). This means that Tertius was his secretary. In other words, Paul dictated the letter to Tertius, and Tertius wrote it down. Is it true that blasphemy is an unforgiveable sin? No. The only unforgivable sin is the rejection of the Holy Spirit, or perhaps despair. That’s because these sins compel a person to avoid seeking the forgiveness of God. But, if you actually confess your sin to God (in prayer or in the Sacrament of Reconciliation) with a contrite heart and a firm intention to amend your life, He will forgive it no matter what it is. Is it sinful to have evil thoughts, even if you don’t carry them out? In the Old Testament, especially Leviticus and Deuteronomy, it says that it is forbidden to eat certain foods. Do these laws apply to Christians? Jesus said, "Do you not see that whatever goes into the mouth passes into the stomach, and so passes on? But what comes out of the mouth proceeds from the heart, and this defiles a man" (Mt 15:17-18). The parallel passage in Mark adds this explanation: "Thus he declared all foods clean" (Mk 7:18-19). In Acts, we read of a vision that Peter received where an angel showed him that just as food previously considered unclean is now considered clean, so should the Gentiles, who were previously considered unclean, now be considered as worthy of God (cf. Acts 10:9-16, 28). Finally, Paul wrote to the Romans, "Do not, for the sake of food, destroy the work of God. Everything is indeed clean, but it is wrong for any one to make others fall by what he eats" (Rom 14:20). It appears from all this that the laws against clean and unclean animals no longer apply to Christians. The only time we would refrain from eating or drinking something would be if it caused scandal to our neighbor. Does the Bible forbid marriages between Christians and non-Christians? No. Instead it actually presupposes that mixed marriages will take place and encourages such couples to stay married because the believer may end up saving the non-believer by his or her own witness to the faith (cf. 1 Cor 7:12-16). Of course, the ideal situation is one where the spouses are of the same faith. I haven't engaged in a debate in a while, so this has been fun. I am currently discussing with a Protestant friend of mine what the Bible says about drinking wine. He is of the opinion that it is forbidden. I believe, as the Catholic Church teaches, that drinking wine with temperance is permissible. Now, other people chimed in on this (it happened on Facebook, after all), but I'm only interested in presenting my exchange with him. That said, I will be providing his words to other people that also happened to bear upon the points I raised. I think this is the best way to present his side as faithfully as possible without belaboring this post with so many different voices. His words are indented and italicized. This is a fantastic article. I'm not judging anyone who drinks...but if you're a believer and you drink, at least read this article. It's one of the most balanced I've read on the subject because it's not coming from a spirit of judgement. The last line says it best..."the question really isn’t CAN A CHRISTIAN DRINK? Rather, it is: SHOULD A CHRISTIAN DRINK?" There was a time in my life when I drank. I'm not condemning anyone certainly. But the bible says to flee even the 'appearance' of evil. So that's a pretty high standard. the Greek text bears out that the wine that was drunk in those days was non-alcoholic essentially. Never mind the fact that Jesus, Who is the Word of God made flesh (John 1) would never do something that violated that word...that would be sin and Jesus lived a sinless life. Not to mention the fact that there are probably 50+ scriptures that instruct us that [the different types of wine found in the Bible] are harmful and we should abstain. I've studied this out out of curiosity (English, Greek and Hebrew) and to me it's pretty clear. I would rather err on the side of caution for my sake and the sake of others. But again, I'm not going to judge you if you decided differently. In the end, it' s a decision that's between you and God...but it's something that most definitely can affect someone's decision to accept Christ or not. If I could add my own 2 cents, Jesus and the Apostles all took wine to drink at the Last Supper (cf. Mt 26:27,29). The Son of man came “eating and drinking” (Lk 7:33-34). As for the OT evidence, the prophet Nehemiah commands the people to drink wine (cf. Neh 8:10). The sacrifices that God required often included wine as a drink offering (cf. Exo 29:40; Lev 23:13; Num 15:5,10; 28:7,14). The Psalmist says that God gives man plants so that he may make from them "wine to gladden the heart of man" (Psa 104: 14-15). In Proverbs we receive this counsel: “Give strong drink to him who is perishing, and wine to those in bitter distress” (Prov 31:9). Wine is even used as a symbol of new life and of the fulfillment of God’s promises to mankind (cf. Isa 25:6; Amos 9:14; Zech 10:7). You seem to believe that because the same Greek word (oinos) is used that every instance is the same drink. I think this is a mistaken exegetical view. Greek and English (as you all know) often do not align perfectly...hence the various translations of the Bible into English. For example we say love to mean everything from, "I love cheeseburgers" to "I love my wife". Those are obviously different meanings for the same word. In Greek, we see agape, phileo, and eros, all meaning love in its different forms. A good modern day look at this is how in the south some call every soft drink Coke. While Pepsi, Mt. Dew, etc are options, some use the word Coke as a euphemism for every type of soft drink. If we can go from one word (love) in English, to 3 words in Greek, doesn't it stand to reason that the process could work the other way as well? Isn't it possible that the Greek word (oinos) could be applied more broadly while in modern English we might parse words for different levels of fermentation (from plain grape juice to 100 year old wine)? I think that's a logical way to approach this. 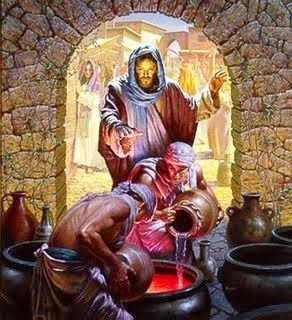 We have to see that Jesus would never violate God's word (and I've listed several places where the scriptures are clear about abstaining from alcoholic, highly fermented wine). Also, often times, especially in the OT, we see wine associated with the wine presses. Wine is not wine in the alcoholic sense when it is straight out of the presses. It's simply juice. It seems to me from this that the drink in question is the type that intoxicates a person, that has the potential to make him a drunkard. Regarding the passages I provided from the OT, how does grape juice "gladden the heart of man" (Psa 104:14-15; Zech 10:7)? It is "strong drink" not grape juice that Prov 31:9 instructs us to give. The Mosaic Law allowed the people to purchase strong drink and even consume it "before the LORD your God and rejoice" (Deut 14:23-26). This seems strange if it was actually forbidden. We must also remember that the whole reason why wine (as in, the fermented beverage) is a symbol of eschatological hope is because the merriment and festivity it provides is a foretaste (pun intended) of the joy that the Messiah will bring. Grape juice cannot carry the weight of this symbolic value. Solid matter that settles out of wine during the fermentation process. In ancient Palestine, wine was allowed to remain on the lees to increase its strength and flavor. Such wine "on the lees" was much preferred to the newly fermented product. At Isaiah 25:6, a banquet of wine on the well-refined lees symbolizes God's people enjoying the best God can offer. Consequently, this is also why the absence of this kind of wine is used as a symbol of God's judgment (cf. Isa 24:7-9; Joel 1:5-13), because it will mean for sinners the end of merriment and festivity. I also mentioned that wine was used as a drink offering. Num 28:7 specifically says that the drink offering should be "of strong drink" to the Lord. I think you make valid points. I can't say it changes my mind though. I still feel the preponderance of scriptural evidence points to the abstaining from (or at the very least a strong, strong caution against) alcohol. When you consider just the common sense side of how many rapes, murders, DUI's, etc. have alcohol use/abuse as an underlying cause, you can see the case against it, even if you set the scriptures aside. Also, I think it can be a deterrent to people accepting the Gospel if they see a believer drinking (this is especially in the south where we're taught from a social standpoint that alcohol should be avoided). I believe there should be a difference between the world and the church. If we act like the world, there is no separation to warrant someone looking for a better way. We're to be in the world, but not of the world. In other words, we can't act like everyone else and expect someone to be drawn to Jesus. Just my two cents. I understand what you're saying. But, I also think there is a way to drink that allows one to still be firmly in the world but not of the world. Between the two extremes of drinking too much and none at all is the third way, what I would call the real Catholic way to drink: with temperance. For a non-believer, this third way is much more appealing b/c it reveals that, in accepting Christ, one does not have to forsake everything that brings him joy. Like you said, the Christian is still IN the world, he is just not OF the world, and the good Catholic takes this seriously. He does not drink as the world drinks, which is to excess. By drinking with temperance he still shows that he is a man set apart, and I can tell you from my own experience drinking in this way that people genuinely respect it when I say, "No thank you, I think I've had quite enough." This third way of drinking is one of discipline, but it is also one of thanking God for His many gifts. For more on the "third way", see this article written by Sean P. Dailey, "The Lost Art of Catholic Drinking". This whole Catholic-quoting-Scripture thing is quite bothersome, isn't it! 1 Cor 12:4-13 Now there are varieties of gifts, but the same Spirit; 5 and there are varieties of service, but the same Lord; 6 and there are varieties of working, but it is the same God who inspires them all in every one. 7 To each is given the manifestation of the Spirit for the common good. 8 To one is given through the Spirit the utterance of wisdom, and to another the utterance of knowledge according to the same Spirit, 9 to another faith by the same Spirit, to another gifts of healing by the one Spirit, 10 to another the working of miracles, to another prophecy, to another the ability to distinguish between spirits, to another various kinds of tongues, to another the interpretation of tongues. 11 All these are inspired by one and the same Spirit, who apportions to each one individually as he wills. 12 For just as the body is one and has many members, and all the members of the body, though many, are one body, so it is with Christ. 13 For by one Spirit we were all baptized into one body—Jews or Greeks, slaves or free—and all were made to drink of one Spirit. In this reading, we discover that all three are special gifts that God gives to the Church, the “body” that is made up of many members (vs. 12). Furthermore, these gifts of faith, knowledge, and service are given to each of us not just for our own benefit, but so that we may use them to build each other up and strengthen the Church. “To each is given the manifestation of the Spirit for the common good” (vs. 7). 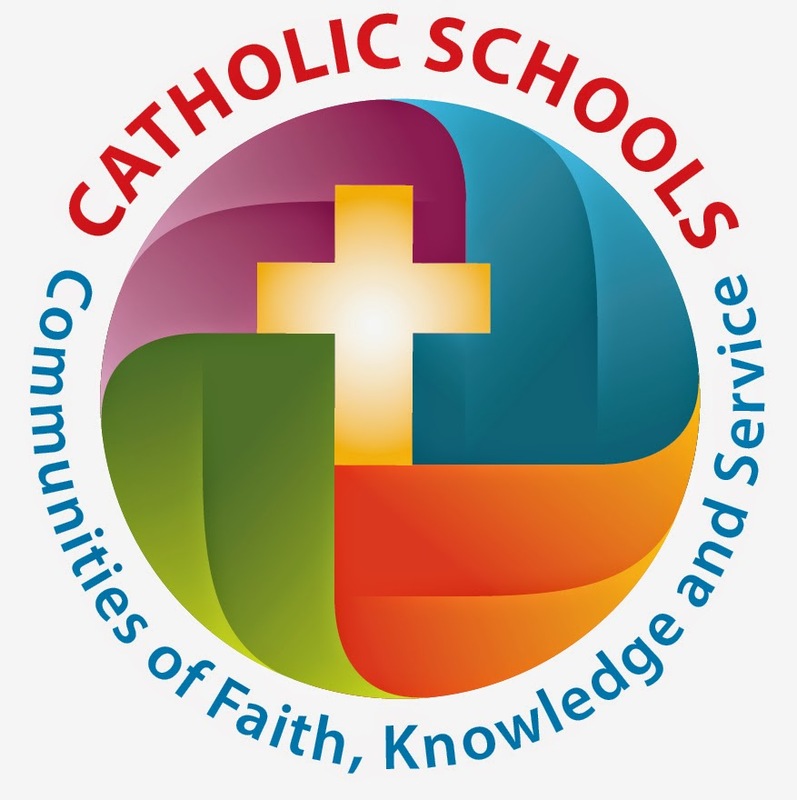 Catholic Schools Week reminds us that, when we are good stewards of the gifts that God has given us, then our schools become a place where this work of building up the Church can occur. What can you do to help the people you encounter each day to have faith in God, to grow in their knowledge of Him, and to live a life of service to God and neighbor? We must each ask ourselves this question as we celebrate Catholic Schools Week. The Holy Spirit will provide the answer. Also notice that these varieties of gifts, and service, and working come from the Spirit (vs. 4), the Lord (vs. 5), and God the Father (vs. 6). Although our God is one God, there exists within Him a diversity of personhood. Since the Church comes from this one and diverse God, it likewise possesses unity (in being one body) and diversity (in the multitude of gifts that the members receive).